Let’s have a look at the DaVinci IQ vaporizer! This unit is the third installment of DaVinci's growing vaporizer line and features a range of customizable heating options. And if you order with us, you can also choose to receive a free ZEUS Bolt grinder made of aircraft grade aluminum! The first thing you’ll want to do with the unit is sterilize it. To do this, press the power button on the side of the unit 5 times quickly to turn on the unit. Press the power button again to switch to “Precision Mode” and use the up arrow button to bring the unit to its highest temperature, which is 222 degrees Celsius. The DaVinci IQ will automatically begin to heat, so let the unit sit and run through a full cycle. After 10 minutes, the DaVinci IQ will automatically shut off, so to re-engage the unit, press the power button 5 times to start heating again. Repeat this process 3 more times to complete the sterilization. This will get rid of any of the manufacturing oils that may have gotten inside the unit as a result of putting it together. To grind up your botanical we always recommend using the ZEUS bolt grinder. 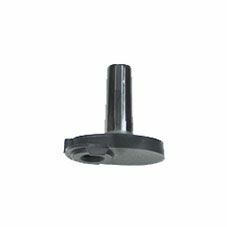 The bolt grinder has been calibrated to grind up your botanical to the perfect consistency for vaporization. This means it's fine enough to be properly vaporized inside of your unit, but not so fine it flies through the screens. To load your unit, open the bottom lip to expose the heating chamber. Using your ZEUS scoop, load freshly ground botanical into the heating chamber and pack it tight enough the herbs won't fly around in the chamber, but not so tight you restrict airflow. 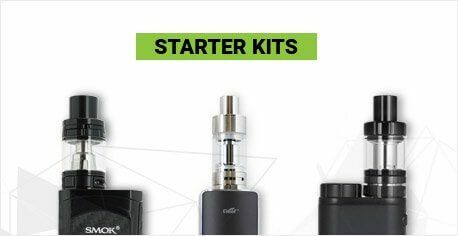 Close the bottom lid, turn the unit on, and you are ready to vaporize! The DaVinci IQ vaporizer has precise temperature control which you can adjust to the individual degree by pressing the up arrow and down arrow buttons on the side of the unit. You can see the unit’s set and actual temperature on the LED screen and you can also flip between Celsius and Fahrenheit by pressing the power button while the device is on. 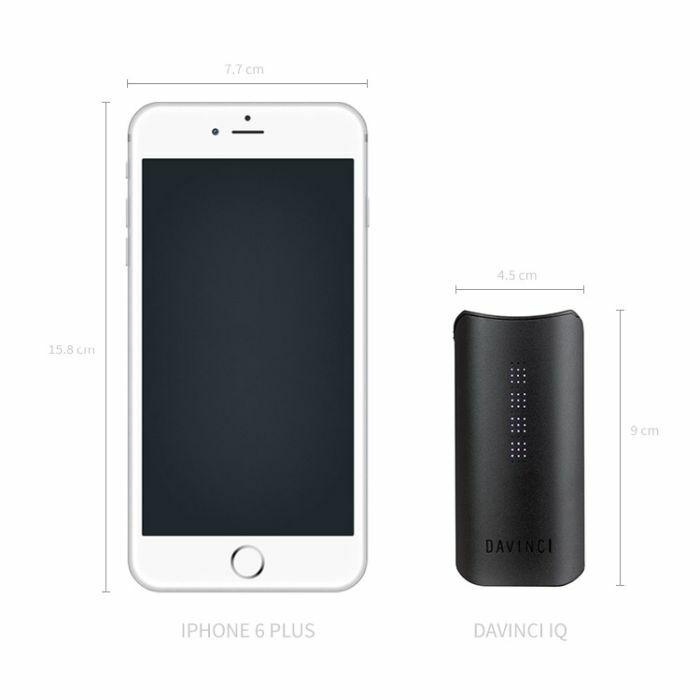 Temperature on the DaVInci IQ can also be set using “Smart Paths” through the Bluetooth application. There are 4 “Smart Paths” which are set gradually increase temperature throughout the session to get the most from your herbs; each Smart Path ends 20 degrees (F) higher than where it started, and each path can be further customized to specific temperature ranges. 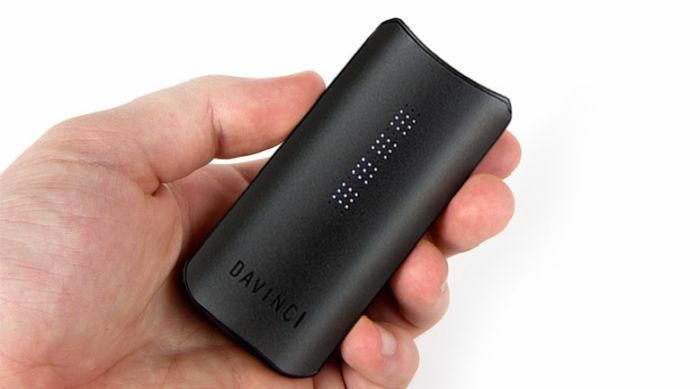 The DaVinci IQ can be set between 121 – 222 degrees Celsius and it will automatically begin heating to the last pre-set temperature when turned on. For best results, we recommend vaporizing between 190 – 210 degrees Celsius, or the default Smart Path 2 on the Bluetooth app. Once the chamber is fully heated, the set temperature shown by the LEDs will match the actual temperature reached by the device. This unit heats up super-fast and can reach its highest temperature in less than a minute! To wrap this unit up, I’d like to tell you guys about some of the key features of the DaVinci IQ which make it such a stellar unit. The first is the DaVinci IQ's temperature options. Along with precise temperature control, this unit offers “smart paths” which allow customization of temperature profiles to get just the type of vapor you want. So, connoisseurs who prefer either dense clouds or light flavourful draws will be fully satisfied by the DaVinci IQ's wide temperature range. The second is the DaVinci IQ's vapor quality. This unit features an all-ceramic heating chamber and a ceramic zirconia vapor path to generate amazing flavor for a conduction unit. 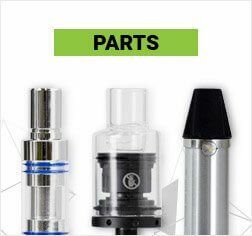 Between the high-quality build and the diverse temperature control options, the IQ creates truly remarkable vapor. The third is the DaVinci IQ's mobile Bluetooth application. This app helps you create 4 “smart paths” which can be set up to increase or decrease heat automatically through your session exactly to your specifications. It also keeps track of your vaping habits, meaning you'll never have to adjust your vaping heat again with the IQ! The DaVinci IQ is a terrific unit for those who want a convenient, high-value vaporizer which is easy to use and generates rich, satisfying vapor again and again. What’s up guys, this is Mike for TVape TV. Solid choice getting the DaVinci IQ! 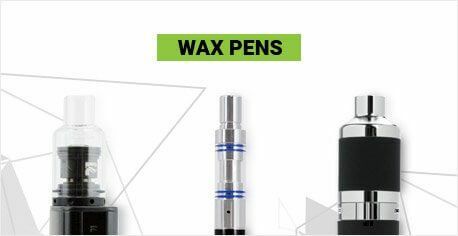 Let’s go over some quick cleaning tips to ensure you get tasty vapor with this unit, every time. First, we’ll go over the materials you’ll need, then we’ll get into cleaning and maintenance. 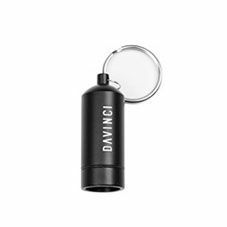 The DaVinci IQ is really easy to clean; all you need to do is care for the heating chamber and mouthpiece. To clean the heating chamber, take a ZEUS grime stick, snap the top, let the alcohol drain to the bottom and swab the inside of the chamber. To ensure no alcohol particles are left behind, after letting it sit for a few minutes, turn the unit on, set it to the highest heat setting and let it run through a couple heating cycles. You can clean the mouthpiece by taking it apart and soaking the pieces in a jar of your diluted ZEUS Purify Solution, for about half an hour. 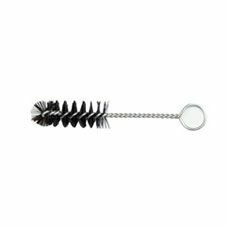 Then use the ZEUS bristle pipe cleaners to dislodge any remaining particles. Next, rinse and towel dry. 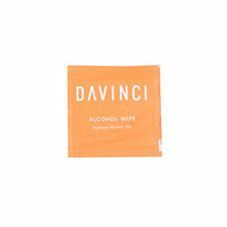 For good care, we recommend you brush out your heating chamber after each use with your DaVinci IQ cleaning brush. This’ll help get out any extra particles and prep your DaVinci IQ for your next session. And that’s it! We hope you enjoy your DaVinci IQ and thanks for watching! If you have any questions, don’t hesitate to give us a shout. Cheers and as always, keep vapin’! 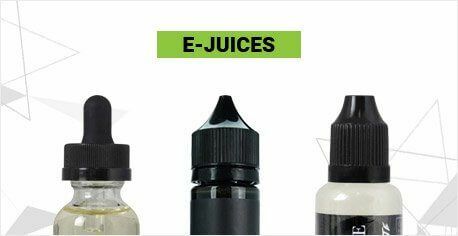 I had recently read about the benefits of vaping, as a heavy bong smoker, I was skeptical this would have any effect on me with my high tolerance. Boy was I wrong. This thing hits like a champ, not huge clouds but you definitely feel the effects. I quite enjoy it. I’ve also used less herb, about 1/2-3/4 of my typical smoking habit. This unit only got me four sessions(fully packed chamber , .3g per chamber) on one battery charge. Some users complain this device gets very hot. 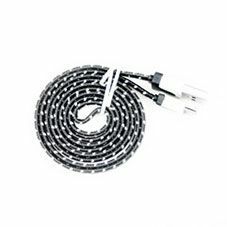 This only happens with the stock batteries, which are not adequate amperage and produce excess heat. I recommend using high quality LG H2 18650 batteries from a local vape store. The device still gets warm but nothing compared to the stock batteries. Overall this device is great , a little expensive but awesome. You get what you pay for ! Wow! Don't know how else to explain it. This is my 1st vape and being new to the whole scene, I decided to buy the best my budget would allow. Anything anyone says negative about this vape is clearly looking for something to complain about. I'm blown away by every aspect. I've had my DaVinci IQ for 4 months now, I love the flavor and experience and its a prefect travel device. With that being said, I've had some problems, the glue that holds a metal plate just above the "flavor chamber" has let go. Now the device makes a loud hissing / buzzing sound and shuts off randomly. As for the random shut offs I'm not sure if its battery related as I do not know about the life-cycle of li-batteries, I originally bought 2 and have been switching between them for the past 4 months. I'm just wondering if everyone or just me is having this problem? 1st vape I have owned, so far loving it so much it changed my life and the way I consume my herbs. The precision temps allow me to control my vapor better than I ever have been able to before. The zirconium airway allows for some amazing flavor and great pull build up for epic clouds. I found out you can use the zirconium air path chamber for flavor additives that can allow you to experiment with flavor or the ability to pack it for extra storage. I even found the air path chamber was great for drying my herbs I was going to consume on the next session for better vapor production. On top of that, it uses a standard 18650 battery which allowed me to pick up a few spares for hot swapping at a local Vape battery shop for 40$ This keeps me vaping on the go and meeting my demands all day. All these fantastic features packed into one vape with the promise I will have this unit for the next 10 years because of its warranty. Every expectation blown and more. Got this baby to replace my Arizer unit that broke and haven't looked back! 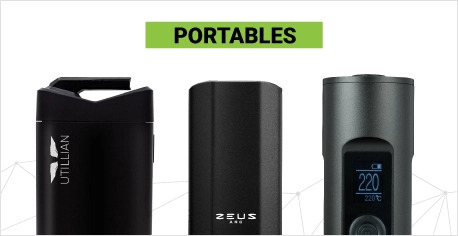 Super discrete and looks like a fancy battery pack or something! The solid build just screams quality. TOTAL control over heating and timing makes dialing in the perfect session as easy as could be. 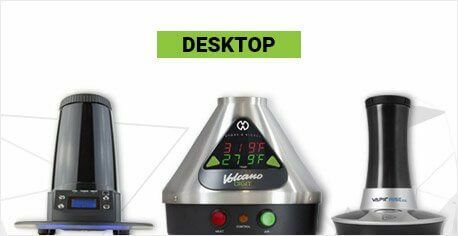 The quality of the vapour is amazing, as good or better than desktop units. Expensive but worth every penny. This is my 5th vaporizer and by far my favorite. 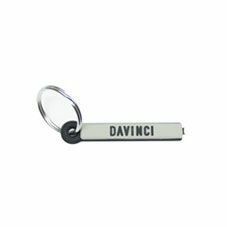 It is super sleek and discreet, you can literally make it disappear in your palm. Vapor quality is excellent and for such a short vapor path, the vapor produced is really cool.